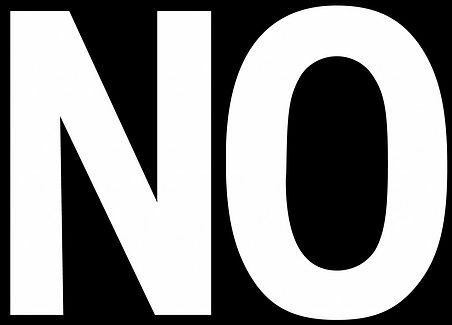 No is a very negative word but it has the power to positively influence all of our lives. No is not a bad thing, it is simply a point of view, a stance, an opinion and it is ok to say it. When you are asked questions in everyday life you don’t shy away from saying no. Would you like sugar in your coffee? No thanks. Did you want to add Avocado to that dish? No, I am good thanks. So why is it so hard to say in some situations? The second No is trickier for small business owners. If you are growing your business this is actually the No you need to hear and often won’t. Not everyone will buy into your business straight off, not everyone will want to sign on the dotted line, and very few people will tell you this. This no is the closure we as small business owners need to move on and rarely get. This is the no that we need so it isn’t awkward every time you run into the guy you pitched at the last networking event and this no is the one you need to hear to grow and develop. Next time you realise that you are not going to take up another business owners offer, tell them. They might not be happy about it but at least they know where they stand. No does not always have to be negative and as long as you say it politely, and have a reason behind it, it can change the way you do business and deal with clients.